FBI Special Agent Tucker Simon has spent two years trying to put away the sadistically evil Jimmy Callahan. In an effort to end their standoff and regain control of his criminal enterprises, Jimmy plots to abduct Tuck’s sister. Tuck manages to stay one step ahead, but Libby's best friend pays the price. Now Maddy’s life depends on Tuck. Madison Harper has been fascinated by her friend’s older brother ever since seeing photos of the federal agent in Libby’s apartment. 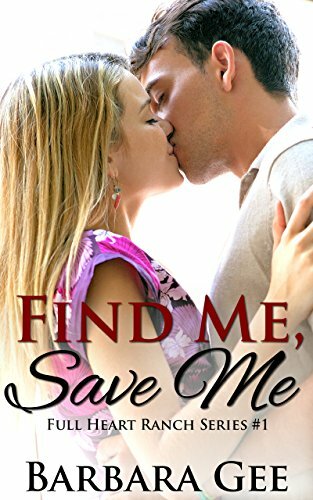 Given her close friendship with Libby, Maddy hopes she will some day meet Tucker Simon--but she never expected to need him. When Maddy is accidentally drawn into the dark schemes of Jimmy Callahan, her chances of survival are slim. As she faces almost certain death at the hands of a man bent on revenge, she prays for Tuck to find her. But time is running out, and Jimmy isn't going to make it easy. While Tuck fights to rescue the most courageous woman he’s ever known, he’s also fighting his own sense of guilt. As Maddy recovers, and his feelings for her become stronger, Tuck is forced to reevaluate the path of his life. He thought he had it all mapped out, but Madison Harper is changing everything. He can only trust that God will lead him where he is meant to go. Note: The original edition of this book included several instances of swearing in an attempt to be as realistic as possible. (Because "bad guys" do swear.) However, since this was offensive to some, the swearing has been removed.